definitely on my gift list!" Far out in the sky, on the other side of the sun, is the Planet of the Dogs. Dogs have always lived there in peace and happiness. There are country dogs and city dogs. They live in places like Shepherd Hills, Poodletown, Muttville, Biscuit Town, and Shaggy Corners. The most special thing about dogs is their ability to love. They do this better than any other creature. One day, many years ago, the council of the elder dogs learned that there were problems on Earth, the Planet of the People. Many people had forgotten how to love. They had become cruel and greedy. This is the story of the first time that dogs came down to Planet Earth to teach people about love and to bring peace to Green Valley. 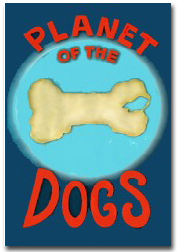 "Planet Of The Dogs is a riveting tale for young readers that eloquently reminds us of the true nature of dogs; loving, helpful, loyal companions with loads to teach the human race. 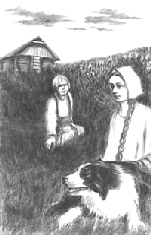 The story is expertly illustrated with powerful, full-page drawings. For dog lovers of all ages."